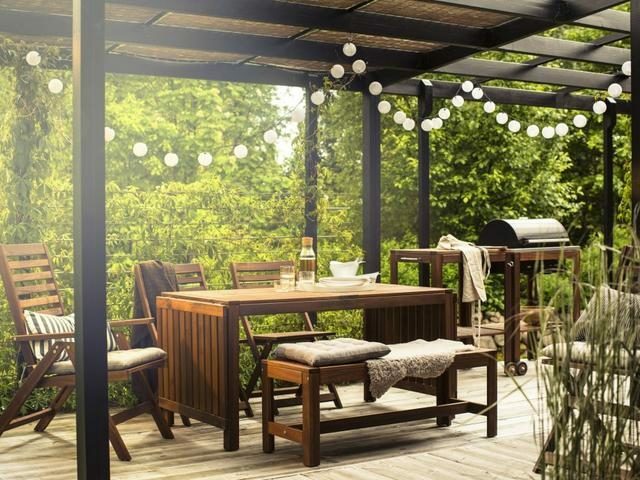 With summer fast approaching, now is the time to get your outdoor area in tiptop shape. 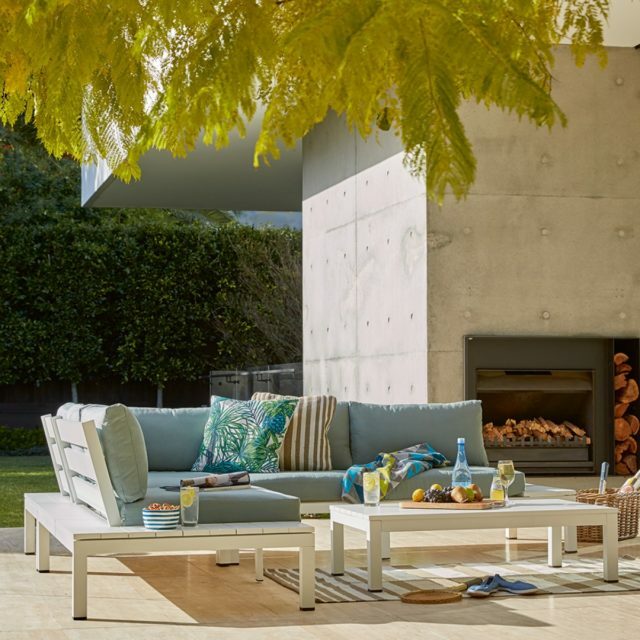 Distinctive furniture can help transform your backyard into an inviting space, perfect for alfresco entertaining or relaxing — book and cocktail in hand. 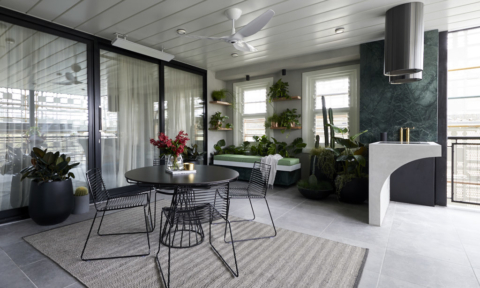 From natural timbers and tones through to retro-inspired styles and sleek coastal settings, there is something for every home and every budget. 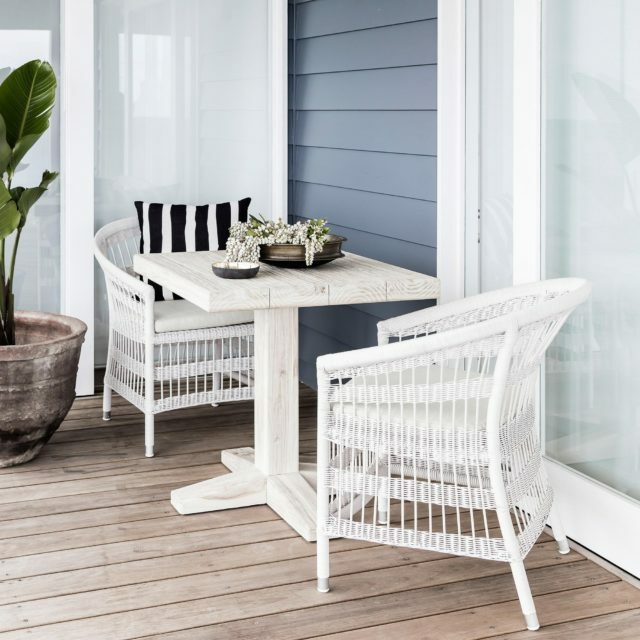 : Versatility is front and centre, with the table featuring drop-leaves that can be folded and removed to quickly adjust to your needs — a hole in the middle to keep your parasol in place. For added durability, the wood has been pre-treated with several layers of semi-transparent wood stain. Available in multiple configurations (chairs and/or benches) and both brown and white, prices start at $427. : Coming in either circular or rectangular form and in two heights, prices start from $2,560. 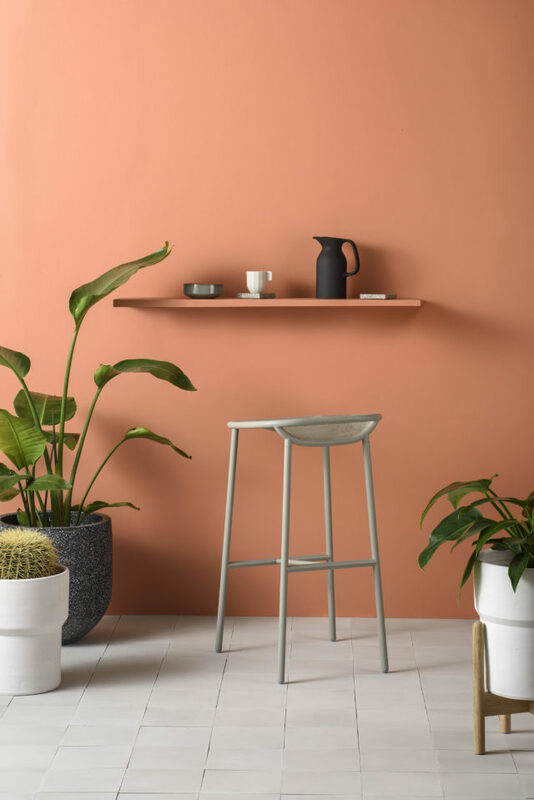 As the name suggests, an aluminium frame (available in four powder coat finishes) traces the outline of the table that can be selected in sustainable slatted timber or elegant marbled porcelain. 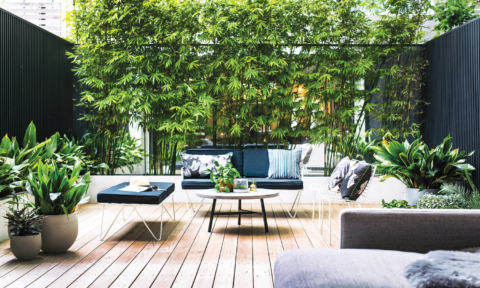 Striking as a standalone piece, the coffee tables also work flawlessly when paired or nested. 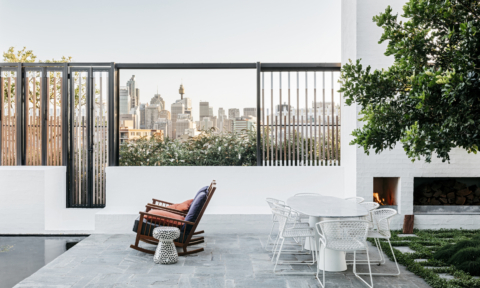 : Inspired by a much-loved Australian pastime – the iconic barbecue, the stool features an open mesh seat, reminiscent of a barbecue grill. Priced at $430, it comes in four anti-corrosion, powder coated colours, sure to provide protection even in the harshest environments. An optional UV resistant and waterproof seat pad is available with a magnetic fixing system. Grille Outdoors Counter Stool from gohome. Photography: Lucas Peng. Styling: Jessica Hanson. : Made from highly durable, powder coated aluminum, the sofa — at $1,999 — promises to last the distance. 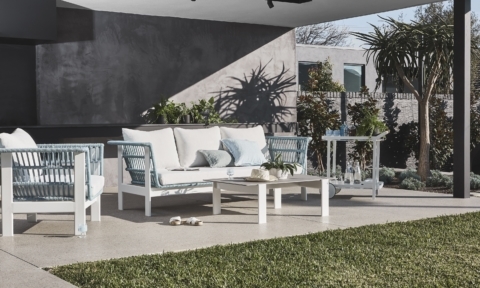 Resort living at home, the matt white finish, weather resistant cushions and adjustable feet stoppers come together to create a practical, chic outdoor solution, perfect for entertaining and relaxing. : Reminiscent of the simple, classic wooden chairs that have been familiar in Europe for many decades, the All Plastic Chair brings the design into the 21st century. 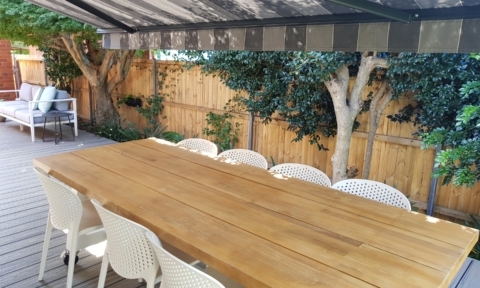 Resistant to sunlight and water, it is robust and durable enough for an outdoor setting. 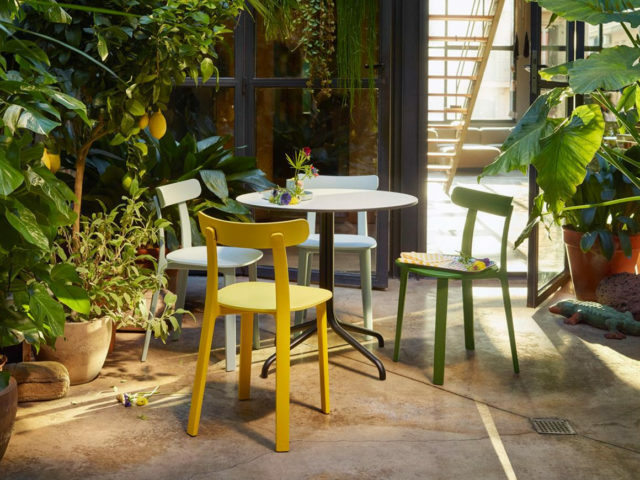 Designed by Vitra, it is available in seven colours and is on sale for $399 when you use the code ‘OUTDOOR’. 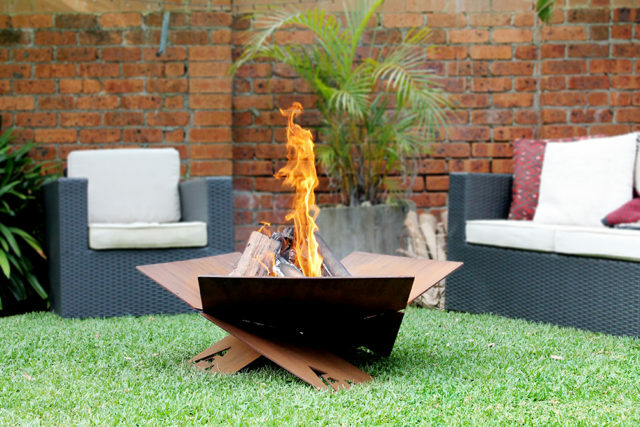 : Made in Australia from 5mm laser cut mild steel, the sculptural fire pit comes in both flat pack and welded configurations. 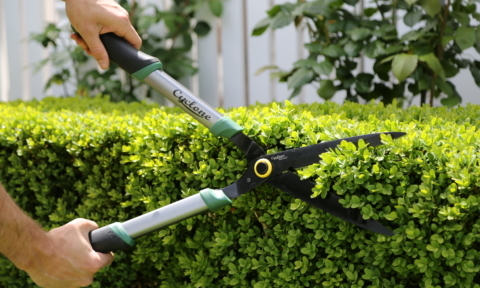 And don’t worry it’s not tricky to assemble, simply slot together three identical pieces of steel – no welds or bolts needed! 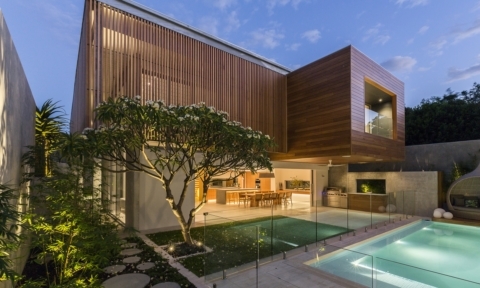 The striking design draws air from underneath, to create a fire that is hotter with less smoke. Prices start at $629. 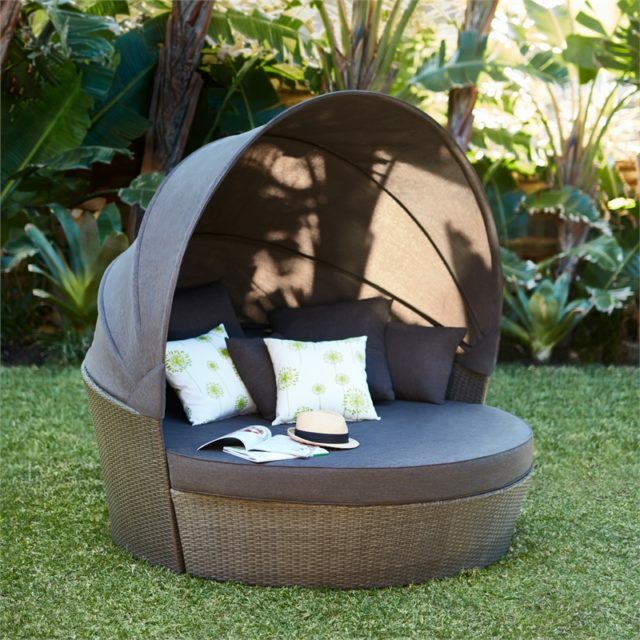 : Spend your lazy Sunday afternoons relaxing on this daybed with retractable roof canopy. Featuring an aluminium frame with a resin wicker weave, the comfortable padded seat is complemented by four throw pillows. When you are ready to store it away the included cover will ensure it is protected from the elements. It retails for $794.95. : This hand woven chair is a contemporary play on the traditional African Malawi chair, with a hint of Hamptons luxury. 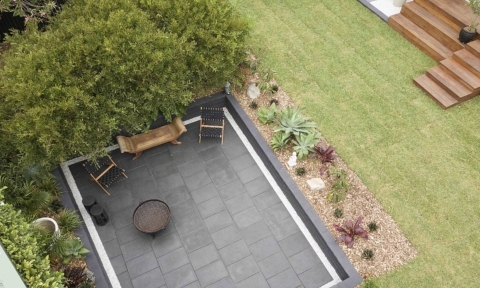 The outdoor poly weave is tough enough to be fully exposed and used in any weather. Best yet, it’s on sale for $415. 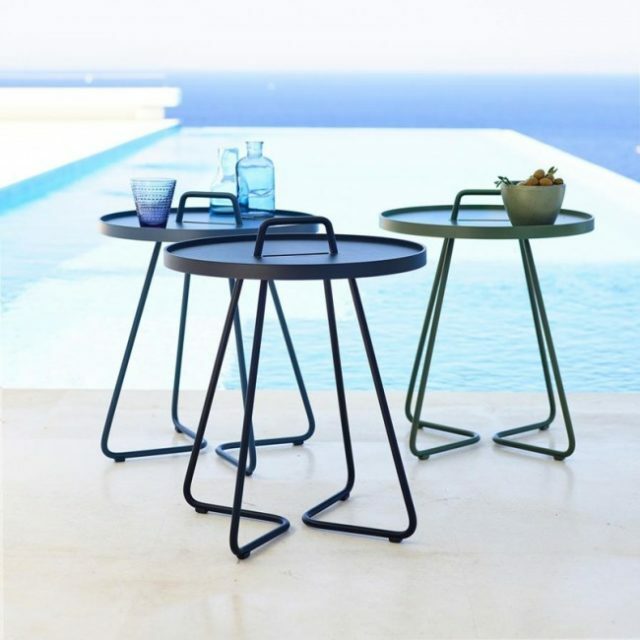 : With its lightweight frame and removable table tray, the side table is designed for portability, letting you easily carry drinks and snacks to and from the kitchen. Designed by Cane-Line, it is ideal for the avid entertainer and will give your space a truly unique sense of style. Available in midnight blue for $576. 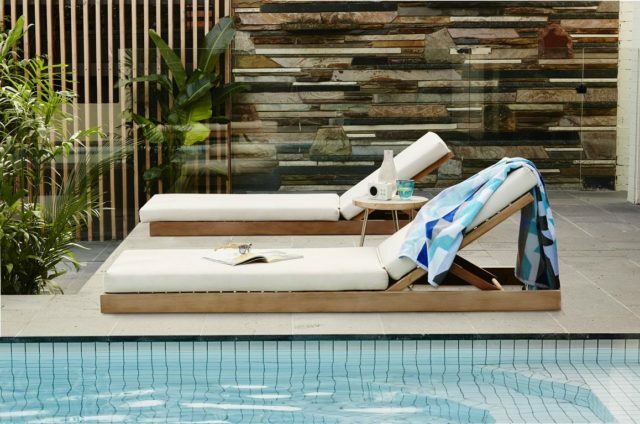 : One could be forgiven for thinking they were lounging poolside at a luxury resort on this sunbed! 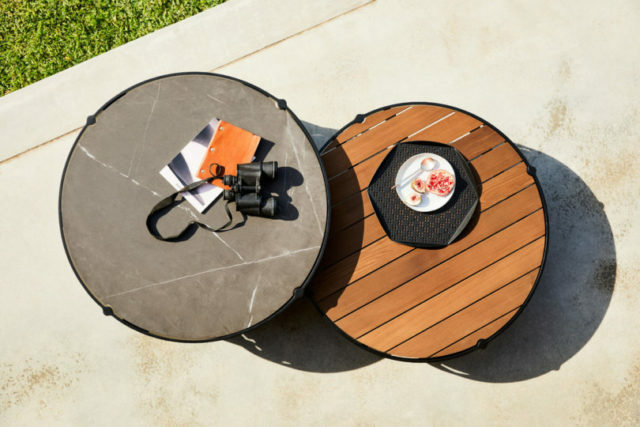 It features weather-hardy recycled teak natural coloured sunbrella cushions with quick dry foam, designed specially for outdoor use. It’s indulgent… as is the price, retailing for $2,875. We hope you enjoyed this list. Let us know what you would add.